One of the medics involved in Stephen Gallacher’s landmark operation has told of the power of organ transplants to change lives. 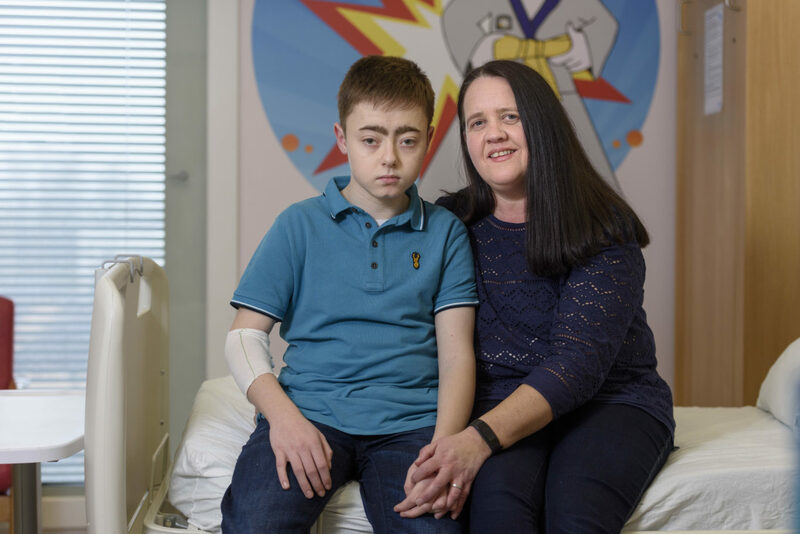 Dr Ben Reynolds, a paediatric consultant nephrologist at Glasgow’s Royal Hospital for Children, said the 15-year-old can expect to see “massive” health benefits when he is fully recovered from the major surgery. He said: “Stephen demonstrates that organ donation can transform somebody’s life. In Stephen’s case, the damage to his kidney probably happened in the womb, but was not identified until he was a little older. Dr Reynolds explained: “Stephen had quite severe kidney disease when we first met him and we knew at that point that he was very likely to need a transplant in the coming years. “What we like to do is avoid dialysis in children where we can. “What is essential for that is having a donor who is available so that the operation can be planned. “Stephen’s situation was exactly that; his mum was willing to be considered as a kidney donor. “Stephen did well and his blood tests were quite stable for some time but over the last few months he was a little bit more tired and we recognised that now is a good time for him to have the transplant before he would need dialysis, what we call a pre-emptive transplant. According to Organ Donation Scotland, in the past decade, more than 800 people in Scotland have transformed the lives of others by becoming living kidney donors. Donations can be “directed”, where a friend, relative or partner donates to a loved one, or “non-directed” or “altruistic” donations in which a person gives to a stranger on the transplant waiting list. “All of this serves to keep people off dialysis or get people off dialysis and the benefits of that cannot be over-estimated,” Dr Reynolds explained. He acknowledged that any surgical procedure has risks associated with it, but stressed that the potential benefits of receiving a new kidney make undergoing surgery worthwhile. Speaking on Thursday’s World Kidney Day, he said: “Kidney disease is very bad for you, but dialysis is also not good for you. “In most cases, transplant is absolutely the best thing for you.